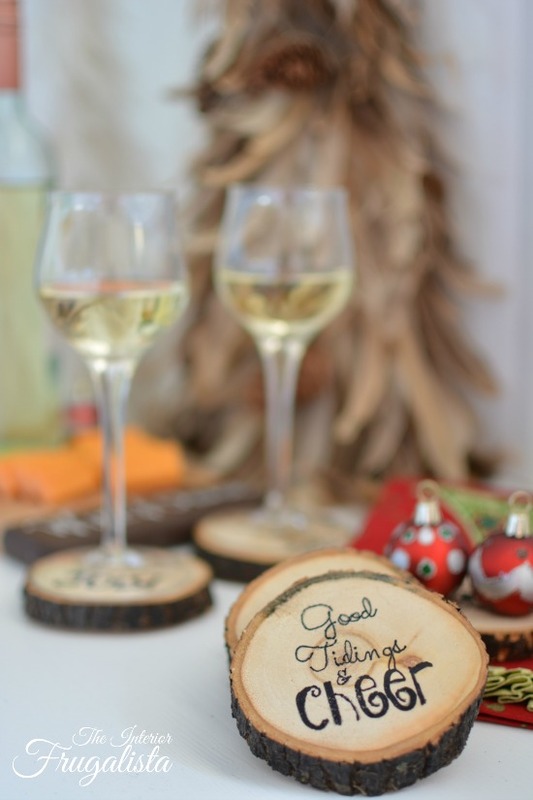 Hello friends, I hope you all had a joyous and memorable Christmas with those you hold near and dear. We spent ours close to the home front with our family. It was so much fun seeing Christmas through the eyes of our 21-month old grandson. But what made this Christmas extra special was that our son proposed to his girlfriend on Christmas Eve - another wedding in our future. As our sights are on the brand new year ahead, it is time to reflect on the one about to come to a close. 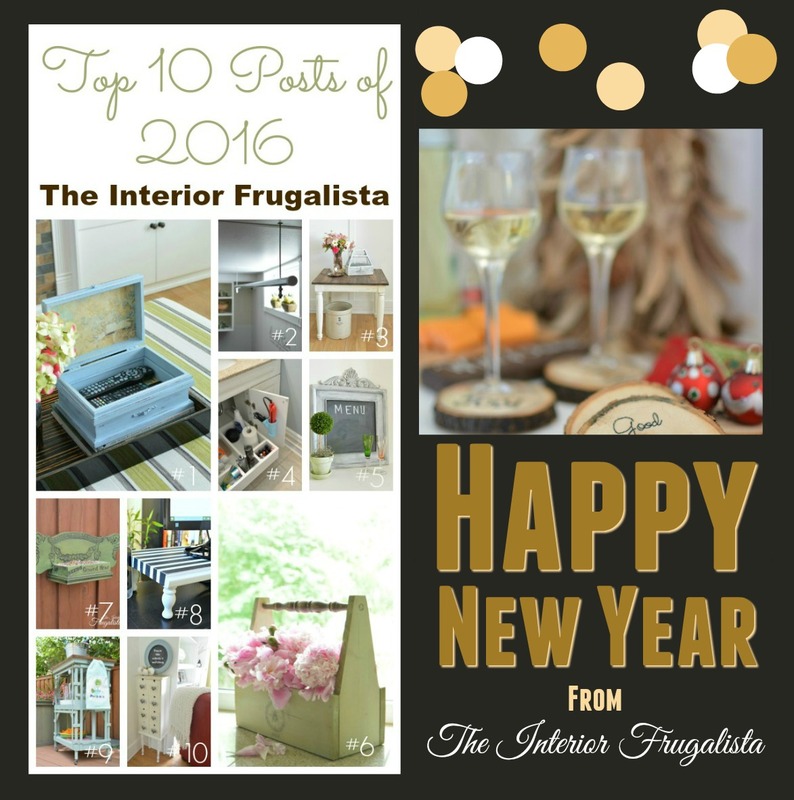 I want to thank each and every one of you who take the time out of your busy lives to pop in and visit me here at The Interior Frugalista. It gives me such joy when I learn that something I created and shared inspired or taught another. I feel so blessed by the connections and friendships made from this little corner of the blogosphere. I value your readership, support, encouragement, and feedback more than you know and I hope not to disappoint in 2017. For years I've been wanting something to organize our CD collection (we're old school like that). During a trip to IKEA, I was so disappointed to learn that they no longer sold Moppe cabinets because the drawers are the perfect size for holding CDs. The skies parted and the angels sang when I spotted one on my neighbor's driveway during their garage sale. We had nowhere on our deck to set up a bar when hosting Summer soirées and building a permanent structure was out of the question considering the small footprint of our deck. When we stumbled on a wooden lattice tiered table, I instantly knew it would make the perfect portable beverage cart. The lack of work surface on my small home office desk was getting rather frustrating. 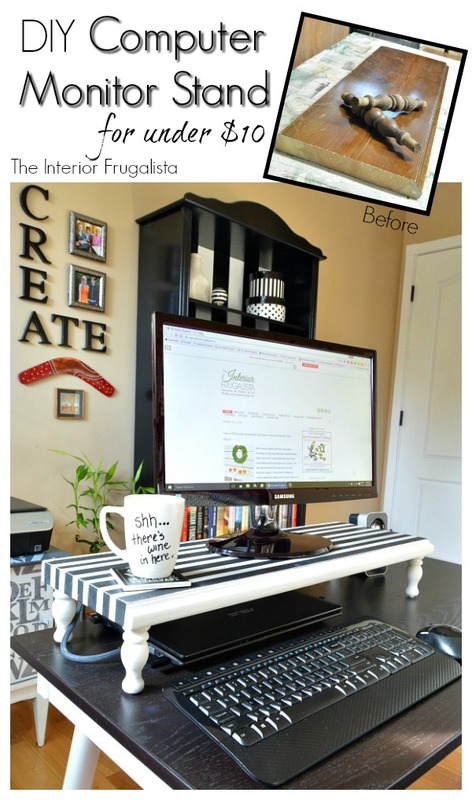 By repurposing part of a footboard leftover from another project and two antique chair spindles, I built a stand to raise my computer monitor. It has a) provided room on my desk to keep my day timer and b) raised the monitor to eye level, eliminating neck strain I had been feeling. While sipping my morning java down in the workshop I glanced over at a bucket of antique chair parts. Taking a closer look at the chair back it reminded me of a butterfly and I wondered what I could possibly make with it. Just at that moment, I heard a bird chirping from the open window and a lightbulb went off in my head. 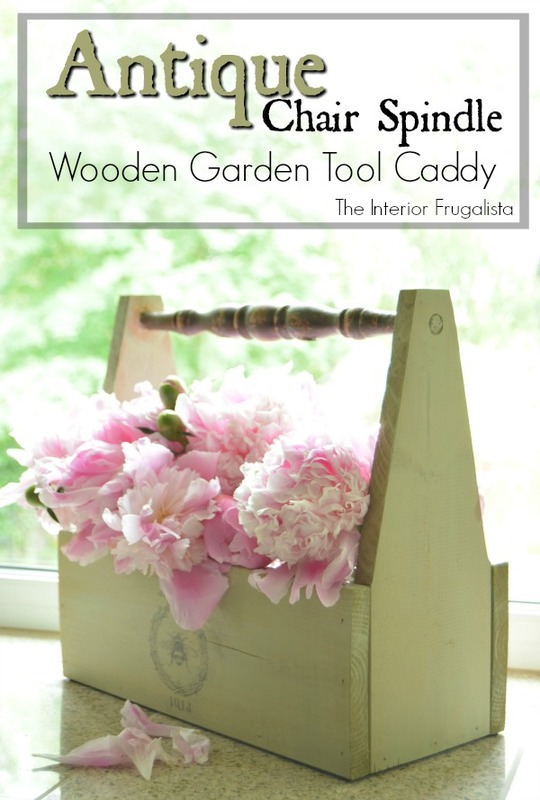 That same bucket of antique chair parts mentioned above also inspired building wooden garden tool caddies and using chair spindles for the handles. Playing with layers of paint, I created an Oyster Shell Patina on a metal thrift store frame. 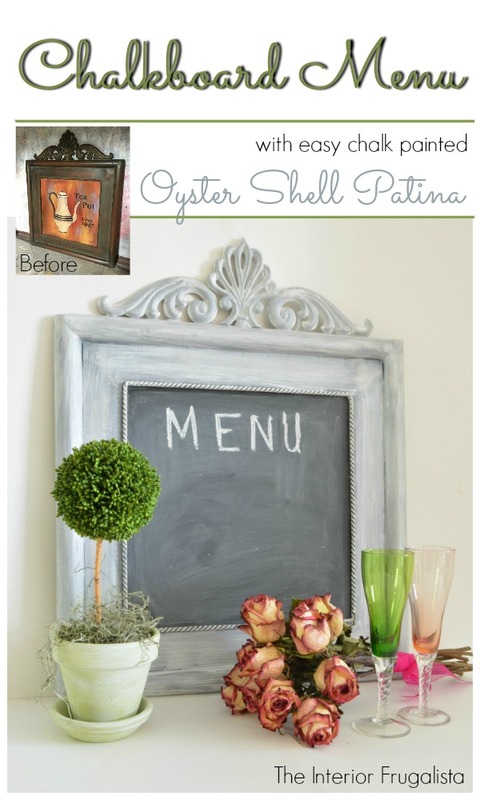 Then I painted over the art with chalkboard paint to turn it into a fun chalkboard menu. This old gal crawled under her bathroom vanity one too many times in search of toiletries. 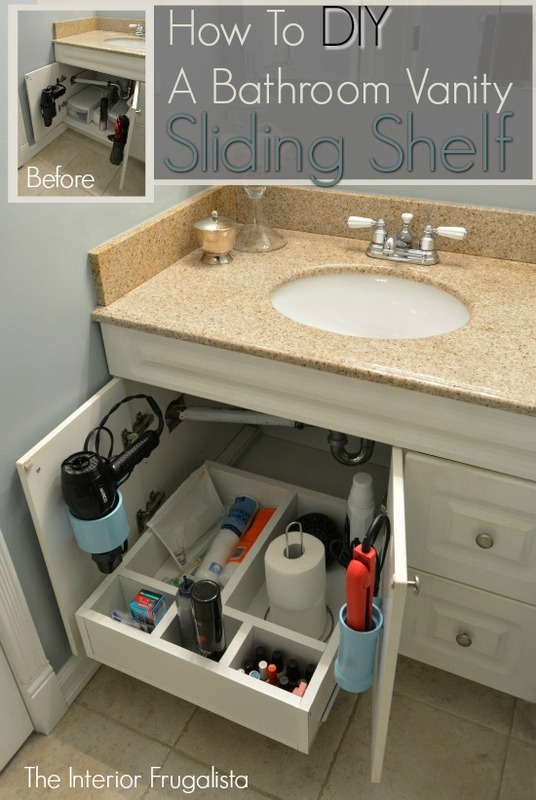 Deciding enough was enough I built a very handy sliding shelf with cubbies. Now even my OPI Friar Friar Pants On Fire nail polish has an easy to access home. 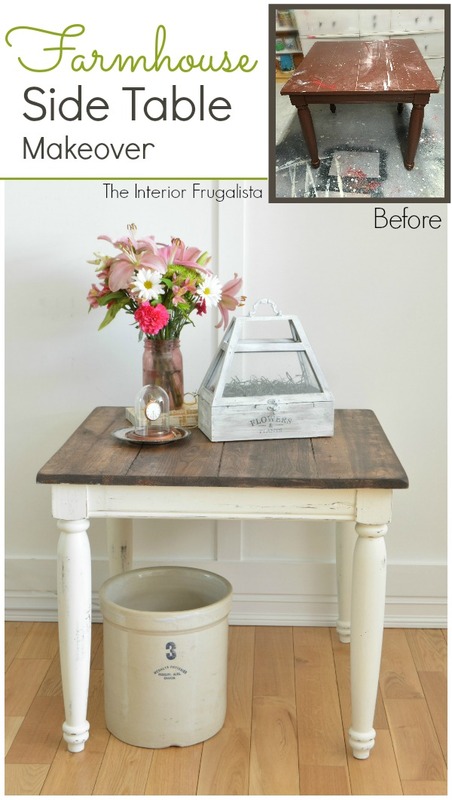 This solid wood table had seen it's better days and I knew with some elbow grease that the character under all that brown paint could have farmhouse charm. 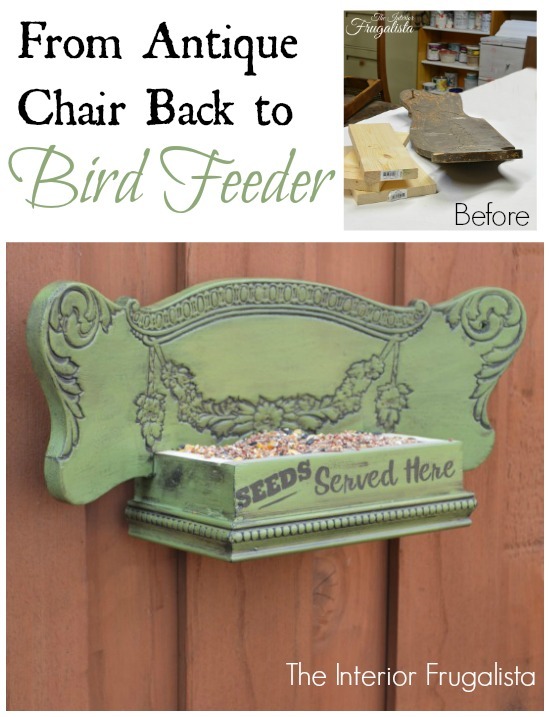 A friend came over one afternoon shortly after finishing the makeover and swooped that table out the front door. With all the wrinkle free fabrics available, some things just need to be hung to dry. How do you do that during the winter with subzero temperatures? 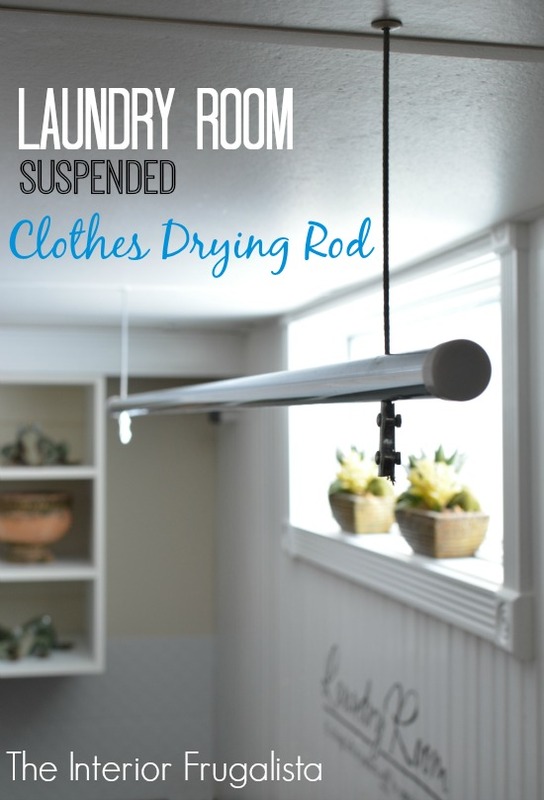 We designed a fabulous indoor suspended clothes drying rod for our basement laundry room. This being my most viewed post completely surprised me. 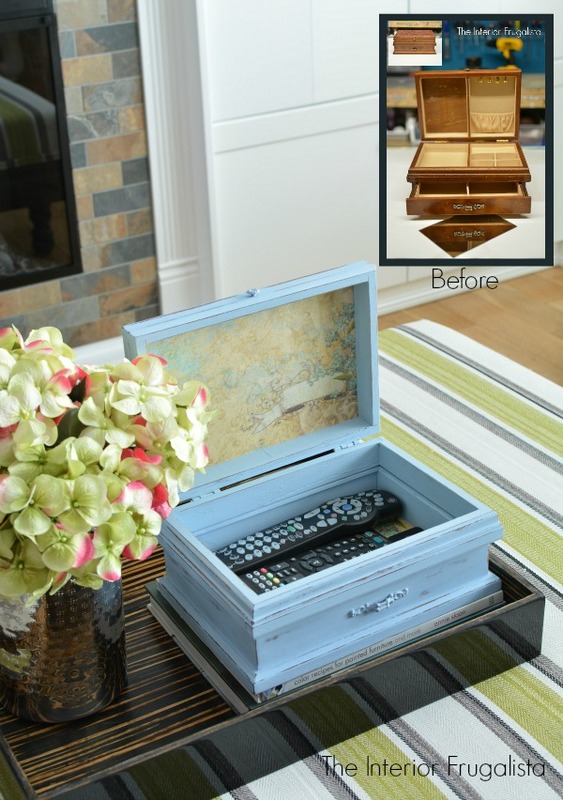 Obviously, I wasn't the only one in need of something display worthy for hiding all those pesky remote controls. This is a brand new post that I shared last week. I normally don't get personal here on the blog but this was a project that was near and dear to my heart and a special Christmas gift for my Mom who has been battling Alzheimer's for the last seven years. 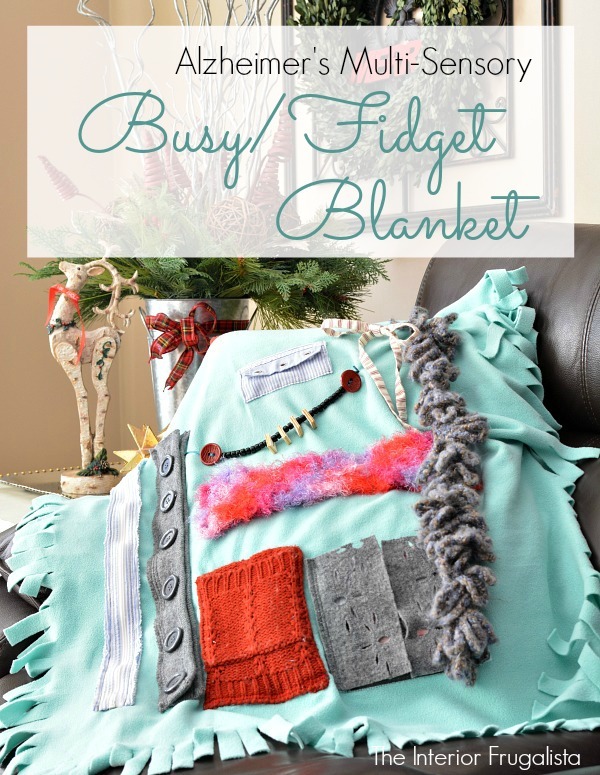 I'm happy to report that instantly her restless hands started playing with the multi-sensory elements on the blanket. If you missed my Year In Review last year, you can catch it here 10 Most Popular Posts of 2015. If you enjoyed my Year In Review, please share your favorites with a friend and/or save them on Pinterest. I'd love to hear which one was your favorite and why?